We have these adorable Rainbow pendant necklaces and more in our shop! So many earring choices how do you pick?! Fruits? Stationery? Hands? Or maybe Pop Art is your jam! Being a platform for other creatives is a huge part of what keeps us coming to work day after day. We love our local community but we also stock products from independent makers across the globe! The products in our shop are carefully selected and everything we carry inspires and motivates us. The "Stocked Spotlight" gives us a chance to highlight great makers from around the world that we stock in our cute shop! We're always adding new inventory in the shop, we can pretty much guarantee that something is different from the last time you visited. We like to keep it fresh always! 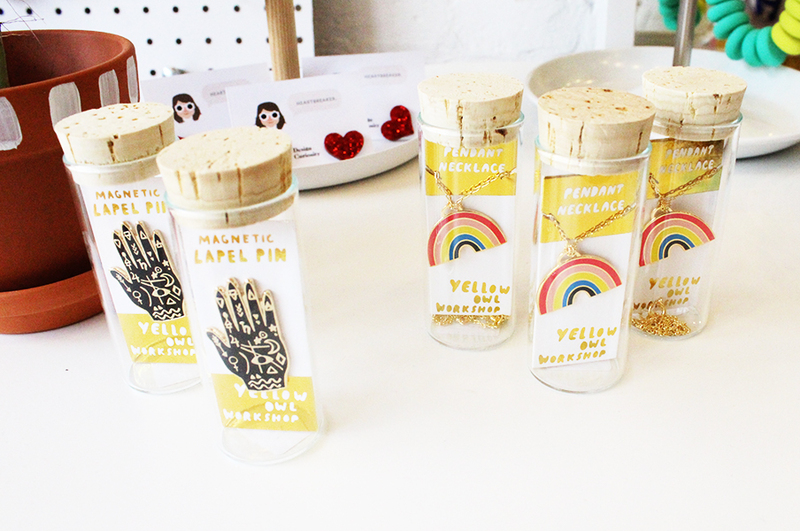 One of the new vendors we started carrying is San Francisco based Yellow Owl Workshop! 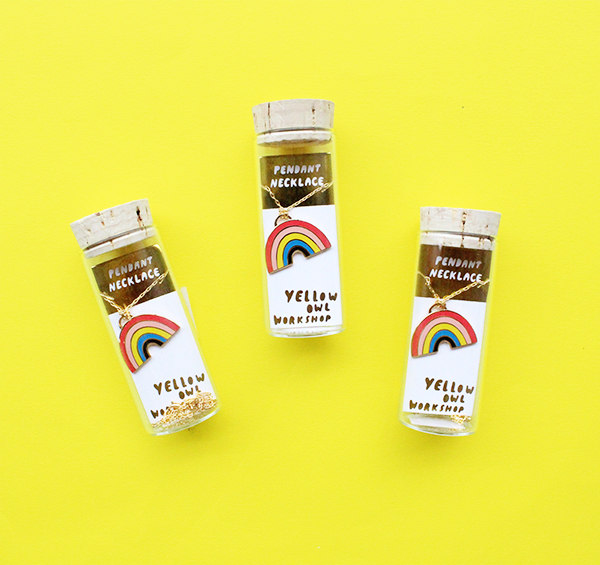 Yellow Owl, under the creative direction of Christine Schmidt, offers a variety of sophisticated yet playful products that include rubber stamps and stamp ink pads, greeting cards, and line of gold pendants, jewelry and accessories. They also pride themselves on the expert attention to detail, ecological awareness and premium U.S. made materials that are evident in every product. Stop by the shop to see all this and more!